The limits of the freedom of expression are a perennial discussion in human rights discourse. This article focuses on identifying yardsticks to establish the boundaries of freedom of expression in cases where violence is a risk. It does so by using insights from the social sciences on the escalation of violent conflict. By emphasizing the interaction between violence and discourse, and its effect on antagonisms between groups, it offers an interdisciplinary perspective on an ongoing legal debate. It introduces the notion of “fear speech” and argues that it may be much more salient in this context than hate speech. These new Member States applied various transitional justice tools resulting in numerous applications examined by the European Court of Human Rights (ECtHR). Nevertheless, the ECtHR has not (yet) followed a clear and foreseeable methodical approach to deal with these unique and complicated cases in an equal manner. This analysis comes up with suggestions how to deal methodically with the changing role of the ECtHR and the challenges created by countries in transition with their manifold legacies. This article addresses the interaction between international human rights law and national criminal law as exemplified and revealed in relation to the abuses of slavery, servitude, forced labour and human trafficking (THB). First, I point out the mismatch between the interpretative techniques of international human rights law and national criminal law. The reportedly low numbers of prosecutions and convictions for abuses against migrants has gathered increasing attention. As a reaction it has been suggested that the definitions of THB and of slavery, servitude and forced labour (where the latter have been specifically criminalized) have to be expansively construed. These suggestions ignore basic criminal law precepts. Criminal law has to remain faithful to the principle of legal certainty and to the rights of the accused which ban expansive interpretations. It is human rights law which celebrates liberal interpretations of concepts for the purpose of holding states internationally responsible for their failures to protect. Despite the difference in their interpretative standpoints, there is a clear interaction between these two fields of law. A manifestation of the interaction is that the ECHR obliges states to criminalize the abuses falling within the material scope of Article 4 of the ECHR. I argue that many states have failed to fulfil this obligation since the focus has been predominantly placed on the criminalisation of THB. This leads to failures to address abuses where there are no elements of recruitment, transportation, transfer etc. by means of deception/coercion. I also demonstrate that Article 4 of the ECHR obliges states to incorporate in their domestic criminal laws clear definitions of crimes intended to address the abuses falling within the scope of Article 4. An obligation which many states have failed to fulfil since they have directly copied the international definition of THB and/or the human rights definitions of slavery, servitude and forced labour, without further establishing the elements of the crimes at domestic level. Finally, I suggest that there needs to be a better articulation of the distinctions between different crimes meant to addresses abuses falling within the ambit of Article 4 of the ECHR. This summer also witnessed the publication of a new version of one of the other widely used handbooks about the ECHR: Jacobs, White & Ovey, The European Convention on Human Rights. 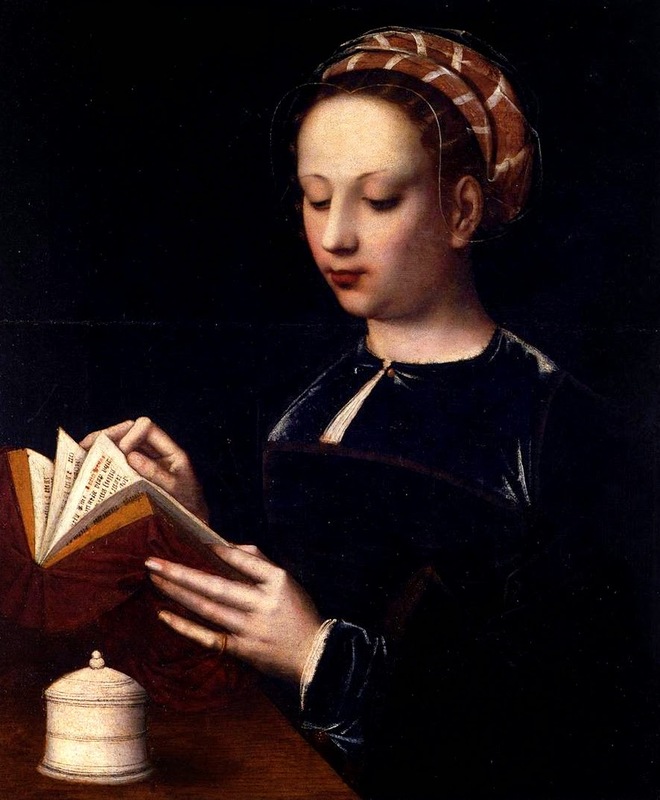 This revised sixth edition was edited by Benadette Rainey (Cardiff University), Elizabeth Wicks (University of Leicester) and Claire Ovey (from the Court's Registry) and published with Oxford University Press. The book's case-law has been updated until October 2013. For any further developments occurring between the publication of this version and a future one, the publisher offers an online resource centre, offering case-law and legislation updates (including on the half year since October 2013) as well as a set of useful links (including to this blog). The book is the slightly less voluminous sister to Harris, O'Boyle and Warbrick handbook (around 650 pages vs 1000). It may therefore be a more palatable choice for students as an introduction into the ECHR at the beginner's level. This is all the more true as it includes at the end the full text of the Convention and the relevant Protocols. At the same time, the structure and level of detail make it an excellent work of reference for scholars and practitioners. Thus, deciding which of the two recently revised books to use is a question of taste (also because the difference in price is very small) - I have been using both for many years now. "Over fifty years after its founding, the European Court of Human Rights has dispensed more than 16,000 judgments and affects the lives of over 820 million people. The sixth edition of Jacobs, White & Ovey: The European Convention on Human Rights is a clear and concise companion to this increasingly important and extensive area of the law. Examining each of the Convention rights in turn, the text lays out the key principles relevant to both students and practitioners. Cutting through the ever-expanding web of cases, authors take you to the pivotal cases in each area and examine the principles that underpin the Court's decisions. A focus on the European Convention itself, rather than its implementation in any one member state, makes Jacobs, White & Ovey essential reading for all those interested in the work of the Strasbourg Court." As announced last week in a guest post, the newest, third edition of the classic Harris, O'Boyle and Warbrick, Law of the European Convention of Human Rights has been published with OUP by Harris, O'Boyle, Bates, and Buckley. It is always an enormous endeavor to update books covering such large fields of law, with a constantly increasing flow of new jurisprudence. This is reflected in the faster need to update. Between the original edition of the book (1995) and the second (2009), the time span was much longer than between the second and current third edition. The new edition slightly exceeds 1000 pages, making its handy and precise index all the more crucial as well as an alphabetical list of cited case-law with page references at the start of the book. The only small downside is that the authors have chosen in the references to only add application numbers to the Court's decisions and not to the judgments, but for most cases this should not be too much of a problem to retrieve them. New case-law is taken into account up to the end of October 2013. The preface is a succinct and very useful short update of the key changes in the ECHR system since the last edition and on the discussions surrounding the Court. The book is divided into three parts: (I) the Convention 'in context', (II) the 'enforcement machinery' and (III) the 'rights guaranteed'. The first part is a very good introduction into the backgrounds and current status of the Convention system, making it also useful for historians and political scientists. The other two are of a more technical, yet well-structured nature, aimed more at legal researchers and lawyers. All key topical issues (EU accession, pilot judgments, reform Protocols 15 and 16) are included. Although the Convention itself is not printed in full, its provisions are highlighted in grey all over the book, as well as key case-law excerpts - for the quick and impatient browser these provide a good first impression before diving into the minutiae which will be of more interest to those seeking information on a specific issue. It is a great achievement that in times of increasing pressure in academia to produce articles in journals, experts still commit time and effort to compile such handbook overviews, which are among the most useful of all academic work for both students and researchers. Congratulations to all authors with this new edition of a classic! The Court has put online a fully updated factsheet on gender identity issues, with the subtitle 'from the Rees case to the Christine Goodwin case' referring to the gradual shift over the years - often used in teaching about the Convention - in the Court's views on the issue. A number of other factsheets have also been recently updated. 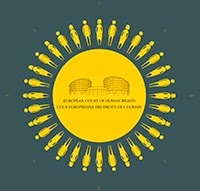 Over fifty handy factsheets outlining the jurisprudence of the European Court of Human Rights on key issues are now available. In the following guest blog the authors of the third edition of a textbook on the Law of the ECHR (Harris, O’Boyle and Warbrick, The Law of the European Convention on Human Rights, David Harris, Michael O’Boyle, Ed Bates and Carla Buckley, OUP, 2014) look back to the circumstances surrounding the publication of the first edition, in 1995. In July 2014 political events in the UK gave rise to talk of possible UK withdrawal from the ECHR at some point in the future. So the publication of the book and this post is also an opportunity for reflection at what could be a critical time with respect to the UK’s relationship with the Convention. A significant part of what follows draws on the Preface to the third edition of the authors’ book, the intention being to bring the comments made there to a broader audience than the book itself would have reached. The post that follows is written in the authors’ personal capacity - Ed Bates. Back in 1995 the Preface to the first edition of Harris, O’Boyle and Warbrick noted that the growth of support for a bill of rights in the UK created the possibility that the provisions of the Convention could be directly applicable in UK courts. It was also noted that ‘if this were to come about, the law of the Convention would be thrust to the fore of university legal curricula and would achieve an immediacy and relevance that would dynamise, if not revolutionize, the United Kingdom’s constitutional system’. All of this has come true since the entry into force of the Human Rights Act 1998, the judicial interpretation of which has given rise to a home grown corpus of human rights law developed first by the House of Lords and, subsequently, the Supreme Court. Both of these courts have based themselves on the case law of the European Court of Human Rights and have not been fearful of pointing to inconsistencies and lack of clarity in Strasbourg law when this was called for. Strasbourg, for its part, has welcomed this new form of ‘dialogue’ inter alia with the Supreme Court and looks with admiration at the manner in which Convention principles have been applied and interpreted in an impressive body of national case law. The relationship has run into episodic difficulties in cases like Al-Khawaja and Tahery v UK and Taxquet v Belgium (where the UK was an intervener), when, with the opportunity to reconsider the chamber judgment, the Court’s Grand Chamber listened carefully to the arguments of the UK, and adjusted its case law to take into account the specificities of the UK legal system, as pointed out by the Supreme Court, and in keeping with the principle of subsidiarity. As has been noted by many commentators, there has developed over the years a healthy cross fertilisation between the two courts and their respective judgments are eagerly and expertly parsed and dissected by each other. The same can be said for the Court’s relationship with the superior courts of other countries—Germany and France being prime examples. The importance of this form of judicial dialogue for the orderly development of the law cannot be overstated. 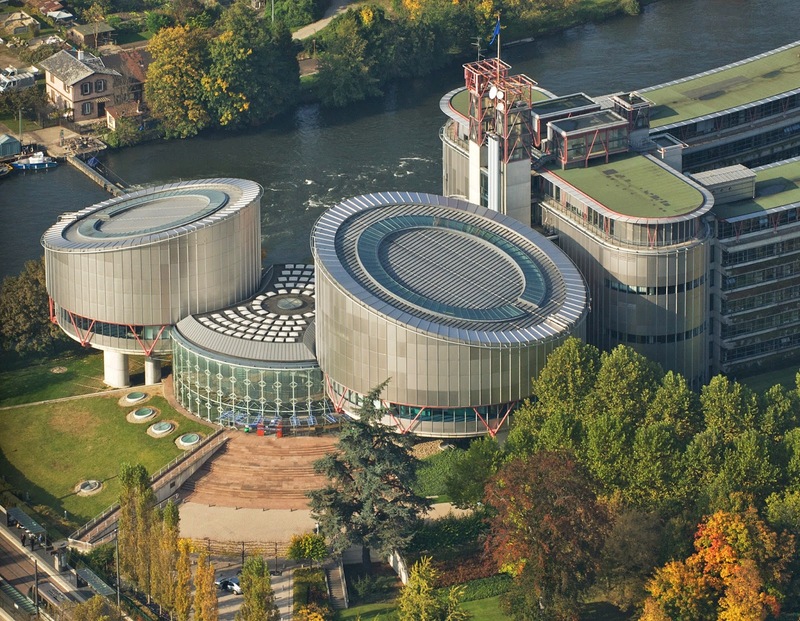 But it has also given rise to a realization that while the Strasbourg Court may not be able, as a judicial institution, to defend itself against the buffetings and criticisms it regularly receives from political figures, as in the UK, it can intensify its relationships with the national superior courts through the medium of ‘dialogue’ as a more appropriate and more adapted response to such criticisms. For it must not be forgotten that the essence of the notion of subsidiarity resides in the daily application by the national courts of Convention law. More possibilities for dialogue with Strasbourg in the ‘age of subsidiarity’? Opportunities for dialogue will be enhanced when Protocol 16 enters into force, for those States which opt to ratify it. This provides for the possibility of a national superior court to request an advisory opinion from the Court on issues relating to the interpretation of the Convention. It has been dubbed the ‘Dialogue Protocol’ because it offers the prospect of another form of adjudication in Strasbourg, distinct from individual and inter-state complaints, involving the superior courts as willing partners in the elucidation and development of the case law rather than as the potentially irritated subjects of violation verdicts. In the meantime, and (arguably) against the background of the reform process initiated at Interlaken, including the valuable contribution made by the UK in the context of the Brighton Declaration, there are very strong signs that the Court has met the States’ request to ‘give great prominence’ to ‘principles such as subsidiarity and the margin of appreciation’. In that connection reference may be made to a recent lecture entitled Universality or Diversity of Human Rights? 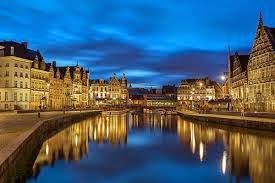 Strasbourg in the Age of Subsidiarity, in which the Icelandic judge in Strasbourg, Robert Spano, responded to criticism levelled at the Court by some former members of the senior judiciary in the UK to the effect that it too easily overrides the views of national decision-makers. Adopting a careful analysis of recent case law, he argues convincingly that Strasbourg has been refining its approach to subsidiarity and the margin of appreciation, ‘adopting a qualitative, democracy-enhancing approach in the assessment of domestic decision-making in the field of human rights’. Judge Spano has suggested that the next phase in the Convention’s life might come to be known as the ‘age of subsidiarity’. The principle of subsidiarity has always been a fundamental one in the Strasbourg jurisprudence. However, the prospect that the Strasbourg system is indeed embarking on an ‘age of subsidiarity’ should be a vital consideration informing the debate with respect to its role and relationship with the UK. This point is of major significance if the time comes when the future of the Human Rights Act is reconsidered – for the Act facilitates subsidiarity as well as a Strasbourg-UK judicial dialogue – and is thus at the heart of the issue of the UK’s membership of the Convention itself. In 1995 the preface to the first edition of Harris, O’Boyle and Warbrick observed that many of the issues examined in Strasbourg touch on highly sensitive subjects such as prisons, immigration and the administration of justice, and that political figures and media commentators in the UK frequently complain, in ‘strident tones of indignation, of interference in the domestic affairs of the state by uninformed and ill-qualified foreign jurists’. So it has not only been since the passage of the Human Rights Act that the influence of and jurisdiction of the Strasbourg Court has become contentious in the UK. The politics of the day in the mid- to late-1990s were different, however, as is evident from the Labour Government’s White Paper, Rights Brought Home: The Human Rights Bill. Looking back today it is interesting to note that reference was made to the scheme of supervision provided by the Strasbourg Court as one that was ‘now well tried and tested’ it being established that Convention ‘rights and freedoms’ were ‘ones with which the people of this country [were] plainly comfortable’. Those rights therefore ‘afford[ed] an excellent basis for the Human Rights Bill’ (para 1.3). Given the concerns recently expressed in the UK with respect to the Convention as a ‘living instrument’ the speech delivered by Jack Straw (‘Human Rights and Personal Responsibility – New Citizenship for a New Millennium’, St Paul’s Cathedral, London (2 October 2000)) then Home Secretary, on the day that the Human Rights Act 1998 entered into force, may be looked upon with some interest. 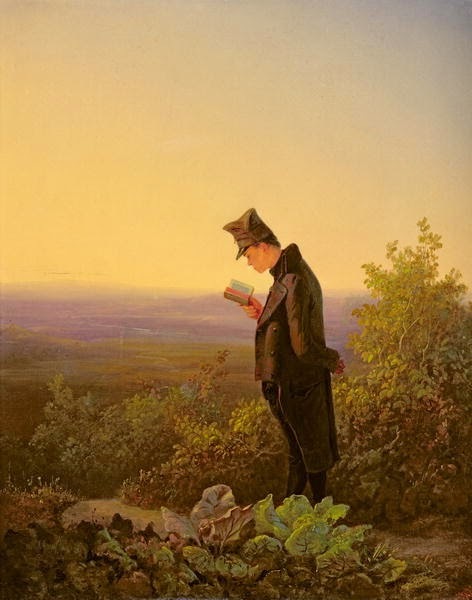 He acknowledged that the Convention was not a ‘monument to history’ but that its ‘living instrument’ character was an answer to those ‘who assert that the convention has been developed in a way not anticipated by its draftsmen’. Straw stated that he had no ‘problem with the living instrument explanation’, but saw matters in ‘a slightly different way’. The ECHR he said, was ‘relevant to the UK today – and tomorrow – because the basic values at its heart are timeless’. They were ‘about the equal worth of all, and the belief in our responsibility to create a society that advances such equal worth and dignity’. These comments could be made with respect to the judgments against the UK in cases such as Hirst (No.2) (prisoners’ votes), Vinter (whole life sentences) and Othman (Abu Qatada ) (deportation to Jordan). Yet, on the basis of such rulings, the level of criticism in the UK against Strasbourg has developed to an intensity that could hardly have been predicted back in the 1990s. As has been widely reported the point has been reached whereby certain Government ministers have suggested that not only should the HRA be repealed, but even that UK withdrawal from the Convention system should be considered, some going so far as to challenge the Court’s legitimacy as an institution. UK withdrawal from the ECHR? 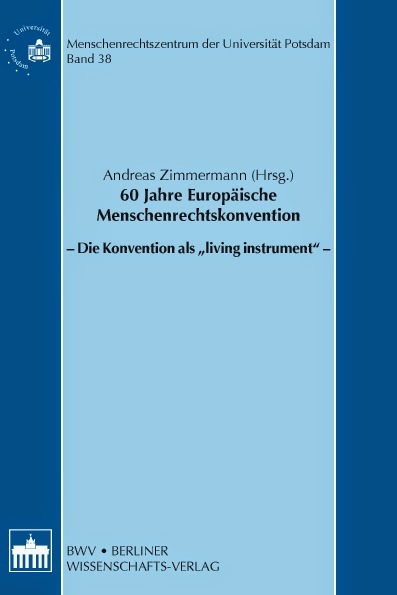 Against this background we refer back to 1995, when the Preface to the first edition of our text had asked the rhetorical question whether the Strasbourg system had developed to the point where no European state could seriously contemplate withdrawing from the Convention. What should one make of this today? It is a measure of the continued success of the Convention system that the question remains a valid one in 2014 for the large majority of the treaty’s 47 High Contracting Parties, indeed, possibly all other States except the UK. For it is our contention that the intensity of the UK debate about the sovereignty of Parliament and the legitimacy of the Court is not replicated in other countries. Of course, there are episodes of criticism elsewhere but, as far as the authors are aware, it would appear that the UK is somewhat isolated in terms of the depth of its apparent opposition to Strasbourg. 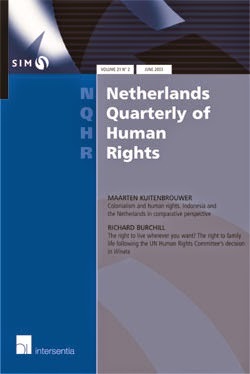 A detailed study published just last month (J Gerards and J Fleuren 'Implementation of the European Convention on Human Rights and of the judgments of the ECtHR in national case law') looked to the reception of the ECHR in Belgium, France, Germany, the Netherlands, Sweden and the UK. It concluded that ‘[in] Belgium, France, Germany and Sweden, the overall legitimacy of the Court and its judgments is hardly subject to debate’ [at 369], even if the Court comes in for occasional criticism in respect of specific, individual judgments. 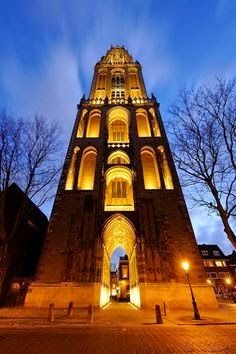 A debate about the Court and its influence with respect to the Netherlands did gain some, initial momentum in 2011-2012, although ‘the critical wind subsided’ [at 256]. Would it be an exaggeration to say, then, that the depth and intensity of the debate about the Court in the UK, and which regularly gives rise to talk of denunciation, is a peculiarly British one? If so, one might ask, ‘why’? It may also be asked whether opposition to Strasbourg in ‘the UK’ is genuinely replicated in large parts of the nation. That this is at least open to question is suggested by the comments made by two members of the Commission on a Bill of Rights (Baroness Kennedy QC and Professor Philippe Sand QC) who argued that it was ‘abundantly clear that there is no [lack of] “ownership” issue [as regards the HRA] in Northern Ireland, Wales and Scotland (or large parts of England), where the existing arrangements under the [HRA] and the European Convention on Human Rights are not merely tolerated but strongly supported’ (para 88.v). Of course, it is not claimed that the Court is a perfect institution. Nor is it maintained that the Convention’s member States embrace everything Strasbourg does with spontaneous love and affection. Yet it was precisely to preserve the Strasbourg system and its effectiveness for future generations that there has been a determination on the part of the Contracting Parties collectively to reform the system, and to overcome the challenges resulting from the overloading of the Court that were starting to become apparent as far back as the 1990s. The reform conferences held in Interlaken, Izmir and Brighton revealed a strong political will to put the European system on a more solid footing and to give it the tools to deal more effectively with its worrying backlog of cases without seeking, at the same time, to clip the Court’s wings or to weaken the level of protection it provides. Overall there is a clear political attachment to the ECHR amongst Council of Europe States and an endorsement of the Court’s contribution to the development of human rights law and democratic standards. The reform agenda has placed the focus on the issues inter alia of delay in the examination of applications, the margin of appreciation and the notion of subsidiarity (as discussed above), interim measures, the election of judges and the vexed problem of the enforcement of the Court’s judgments (where serious compliance problems have arisen since the first edition of the book). From the perspective of workload and the backlog of cases, Protocol 14 has now entered into force. The reforms that it introduces, together with internal reforms such as the provisions for pilot judgments and the prioritisation of important cases, have started to ease the Court’s workload. At the end of June 2014 the number of pending cases stood at 84,850 —a considerable reduction from a figure in excess of 160,000 of some two years before. In this regard a new mood of optimism may be emerging at Strasbourg, and one aspect of the reform debate may be coming to the fore. Noting that the recent phase of reform was commenced at Interlaken under the notion of a ‘shared responsibility’ for the Convention between Strasbourg and the member States, the President of the Court has recently stated that it is living ‘up to its responsibility to achieve greater efficiency, improve its performance, to allocate its resources more effectively and to concentrate increasingly upon priority cases, without abandoning any other cases’. 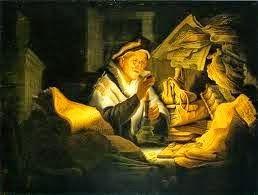 For the reform process to succeed he has called for ‘improvements at Strasbourg’ to be ‘reflected by improvements at the national level, through better observance of the Convention and the existence of effective domestic remedies in case of breach’. As he puts it, ‘[e]ach State must live up to its responsibility’ and the ‘the Committee of Ministers must act more effectively in supervising the execution of judgments – the joint and several responsibility of States under the Convention, as it were’. In this last regard the weight of responsibility bearing on the UK during what remains a difficult time in the Convention’s life must be brought into real focus. What is at stake for the Convention system and Europe overall by the hostility directed toward Strasbourg by the action of a State held in such high regard as the UK cannot be underestimated. ‘Europe overall’ – for one only has to visit the Court’s web site to appreciate the broader importance of the Court given the nature of some the disputes it has been grappling with recently - an inter-state case brought by Georgia against Russia concerning a collective expulsion of Georgian nationals, the resolution of a long-standing dispute between a variety of Balkan states concerning foreign currency savings in the banks of the former Republic of Yugoslavia, the detention of accused persons in cages during their trial, the hospital treatment of an orphan Aids victim etc). It is difficult to imagine that one of the leading founders of the system could turn its back on the Convention without inflicting serious damage on the entire edifice by inspiring other states, beset by more fundamental problems of human rights to follow suit. Some of those States may be from central and eastern Europe, who were encouraged to join the Convention in the 1990s at a critical time in their history, viewing full membership of the Strasbourg system as a necessary component of the legitimacy credentials associated with a democratic, European State. The Secretary General of the Council of Europe has argued before the Parliamentary Joint Committee examining the prisoner voting issue (para 109) that the UK’s withdrawal from the Convention would imperil not just the Convention but the 47 member State Council of Europe as a whole. We conclude with the following observations. 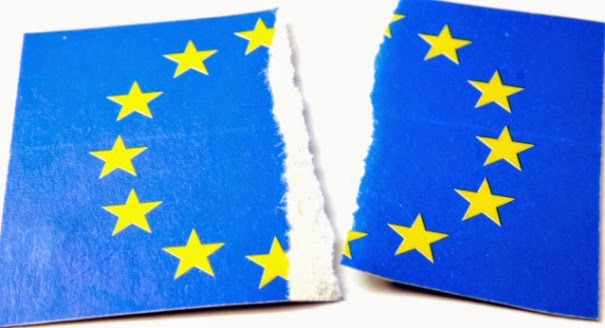 While the issue of UK membership has come to the fore in UK politics in recent years in ways which could hardly have been foreseen in 1995, it cannot be predicted with any certainty what the outcome will be, either in the short or long term. But we respectfully submit that the particular constitutional difficulties encountered by the UK in recent years are straight-forwardly outweighed by the advantages of being a party to the Convention, and the important role played by the ECHR in developing human rights standards throughout Europe and beyond as part of a collective guarantee of human rights—a role that is intimately bound up with peace and security in the region as recognized in the Convention’s Preamble. That point applied back in the late 1990s when the British contribution to the Convention was a cause for celebration under the banner ‘rights brought home’. But it applies today, and with even greater force, given the reform phase that the Convention system is going through, and the strong evidence that it is indeed proving to be effective, including with respect to some of the criticism that has been levelled against the Court in the UK as regards the principle of subsidiarity and Strasbourg’s relationship with national decision-makers. To put in jeopardy what has been patiently built up over more than 60 years would be a disservice to Europe, the rule of law and to the peaceful settlement of disputes. D Harris, M O’Boyle, E Bates and C Buckley. [This post first appeared at ukconstitutionallaw.org/blog (D. Harris, M. O’Boyle, E. Bates and C. Buckley, ‘UK withdrawal from the Convention? 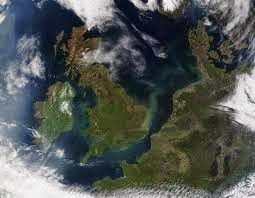 A broader view.’ U. K. Const. L. Blog (24th July 2014)].